Welcome to the Sir Peter MacCallum Department of Oncology at the University of Melbourne, based in the Peter MacCallum Cancer Centre. As the only cancer research site embedded in a specialist public cancer hospital in Australia, Peter Mac's perpetual cancer research cycle is unique in Australia; clinicians take their observations from the clinic and share them with their laboratory colleagues and, in turn, researchers plan their research directions with patients in mind. The work of our 700-strong research team includes managing the genetic risk of cancer, detecting cancer earlier through better diagnostic tools, understanding and controlling the molecular causes behind the growth and spread of cancer, developing promising new therapies through trials in the clinic, improving the safety and effectiveness of cancer medicine, surgery and radiation therapy, all while seeking to improving the patient experience and personalise treatment according to the unique profile of every patient and their cancer. 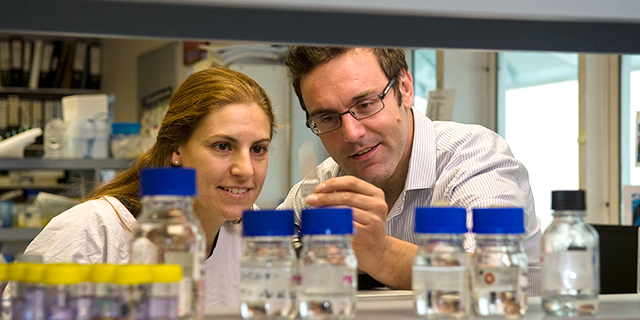 Peter Mac's research is enabled by expert staff and cutting-edge infrastructure. Technology experts put the power of cutting edge infrastructure in the hands of laboratory teams, enabling sophisticated experiments that accelerate their research, while in the clinic, specialist groups provide the expertise to support complex logistical needs of clinical trials; enable clinical research to improve the delivery of radiation therapy, surgery and medicine; and facilitate interaction with industry.